One of my college roommates met a tragic early death from malignant melanoma. He was a sports enthusiast who frequently spent hours unprotected in the sun — he always had a tan. Unfortunately, he’s not alone. The risk of developing malignant melanoma has more than tripled since 1980 — from one in 250 to one in 71. A person dies every hour from melanoma in the US. Skin cancer was once a disease of the middle-aged and elderly, but it is becoming a disease of people in their 20’s and 30’s. The skin damage that will result in melanoma most often happens during childhood — but kids have a hard time imagining 20 years in the future. 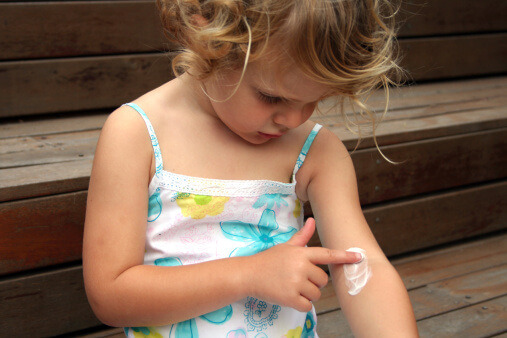 It’s our job as parents to protect them by applying sun block 20 minutes before they are in the sun, reapplying the sun block every 80 minutes if they have gotten wet or sweaty, and avoiding prolonged sun exposure during the hours of peak sun intensity. And who would have guessed, when we were kids, that a cool hat could be a lifesaving gift for our kids!